It's HLP's birthday and we want YOU to come celebrate with us! Join us Wednesday, March 20th at GC Pit from 10:30 pm- 2:00 pm. 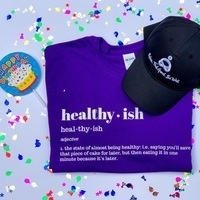 We'll be giving away healthy-ish shirts, HLP hats, AND cupcakes!